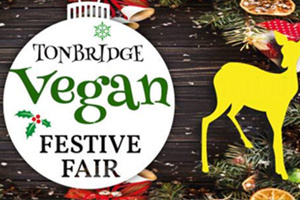 The second year of the Vegan Festive Fair. With sweet & savoury food, gifts, craft, jewellery and clothing. Plus animal charities. Held in the Medway Hall of the Angel Centre. £3 entry (under 16s free). Ample free parking near by.